Girls in Kenya will have another opportunity to learn coding thanks to a new partnership between Youth for Technology Foundation (YTF) and Theirworld, announced on the sidelines of the 48th Annual Meeting of the World Economic Forum (WEF) this week. The partnership will establish new Code Clubs in Nairobi, Kenya. Theirworld’s Code Clubs are designed as a low-cost, sustainable, and scalable program where girls can learn to code, foster creative thinking and increase important knowledge and skills for the future, all in a supportive educational environment. Each cohort of 60 girls (ages 6-25) will participate for nine months to develop and cultivate coding skills, learning how to build a computer, make games and artworks, and express themselves with code. The older girls also learn how to create their own websites using HTML, CSS, and Java, as well as gain skills for future employment and business. Code Clubs ensure students are not only computer literate but are empowered to be entrepreneurs and have competitive, marketable solutions to address global issues. Forty percent of the girls expected to participate are from rural communities, and the other 60 percent are from Nairobi. YTF will join a collection of other existing tech hubs, schools and NGOs already facilitating Code Clubs in partnership with Theirworld. The Code Clubs aim to work alongside existing efforts, building on an increasing push to educate girls with technology skills. 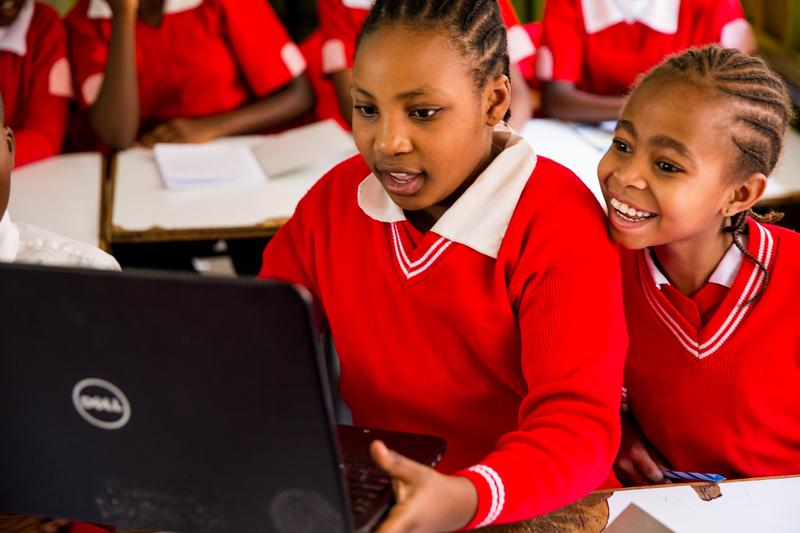 Most notably, the Kenyan government recently introduced a new curriculum that encompasses digital literacy. Youth for Technology Foundation (YTF) is an international non-profit organization established in 2000. YTF programs use technology as inspiration on the corridors of education and entrepreneurship, replacing economic disparity with economic opportunity in low-income and developing nations. Working with youth and women, YTF prepares them to enter a workforce that will be more global, more digital and entrepreneurially focused, bridging the skills gap from secondary schools to universities and into employment or entrepreneurship. YTF, in collaboration with its partners, is inspiring the next generation of technology entrepreneurs and leaders who bring innovative solutions to their nations challenges. Please join us today by volunteering or donating to our cause. Theirworld is an innovative charity which helps children to unlock their potential. Through research, pilot projects and campaigning, Theirworld is at the forefront of testing and shaping new ideas to help give children in the UK and around the world the best possible start in life. Theirworld helps as many children as possible, from vulnerable babies whose lives can be saved with medical advances, to children and young people who need greater support and encouragement.